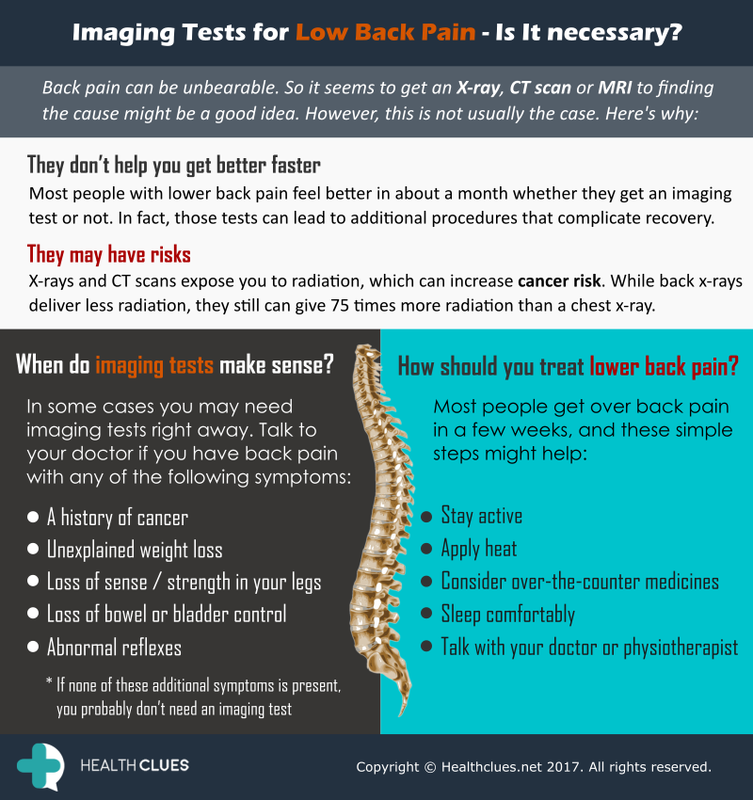 Imaging Tests for Low Back Pain – Is It necessary? Most people with lower back pain feel better in about a month whether they get an imaging test or not. In fact, those tests can lead to additional procedures that complicate recovery. X-rays and CT scans expose you to radiation, which can increase cancer risk. While back x-rays deliver less radiation, they still can give 75 times more radiation than a chest x-ray. Back Pain, Infographics back pain, back pain causes, low back pain, MRI, MRI report, MRI Scan. permalink.